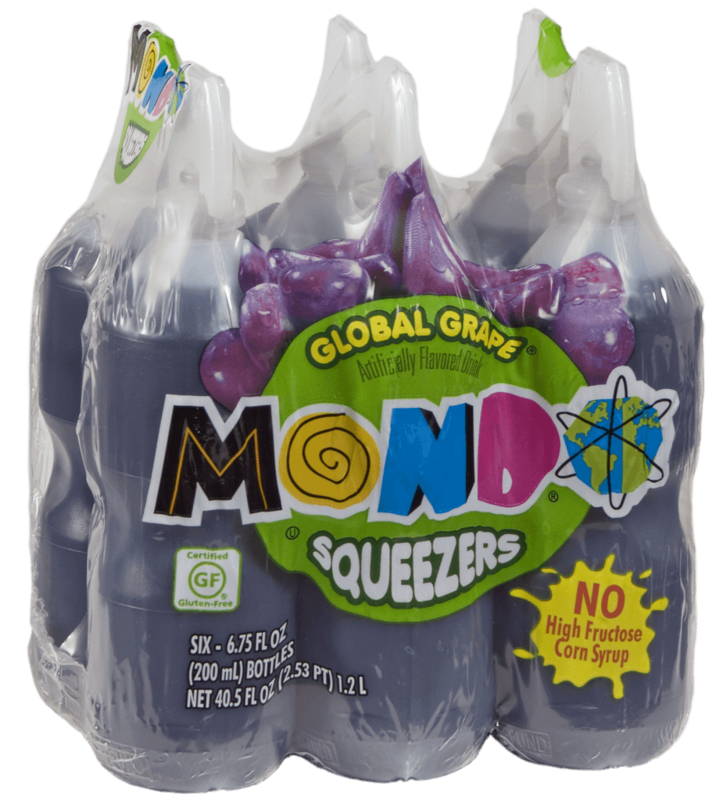 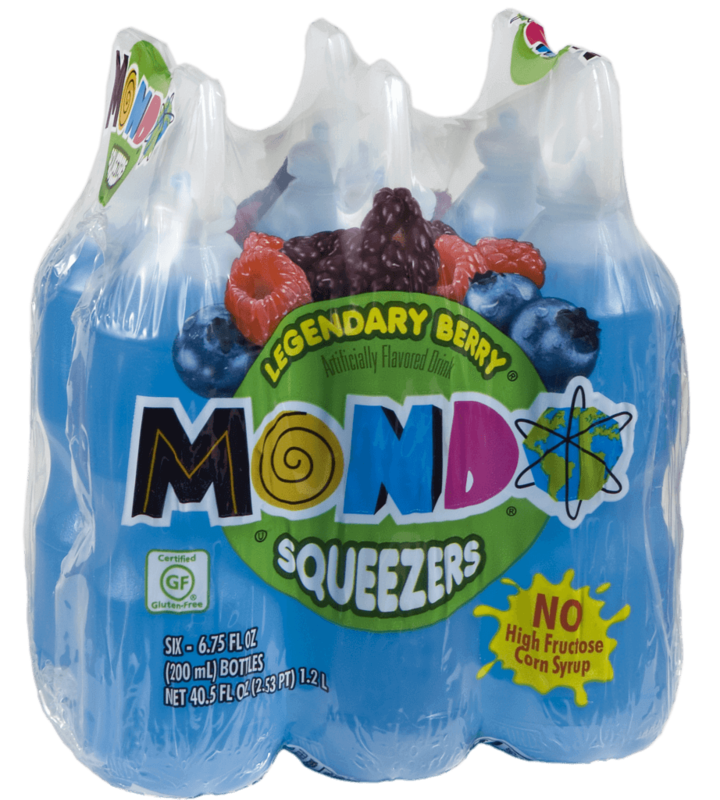 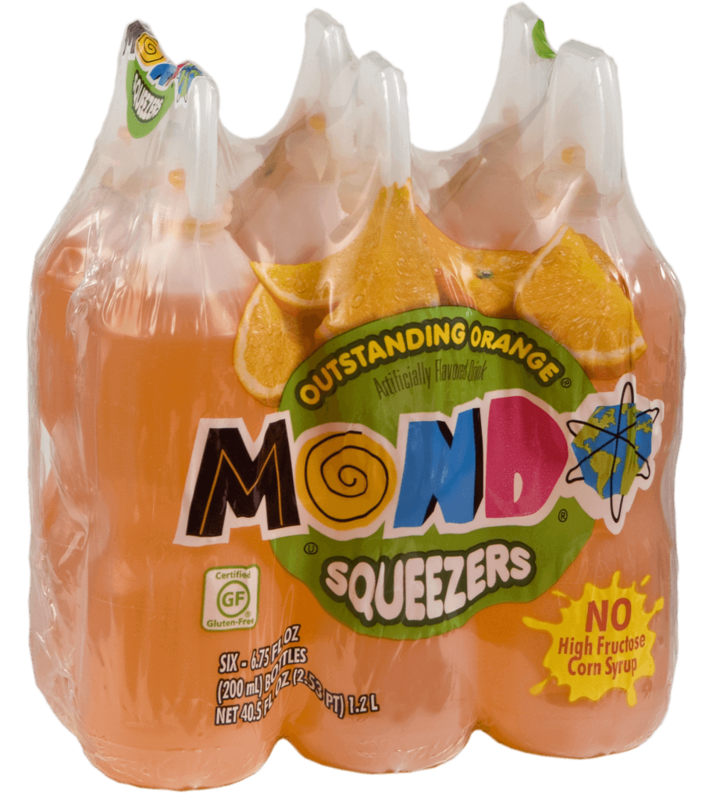 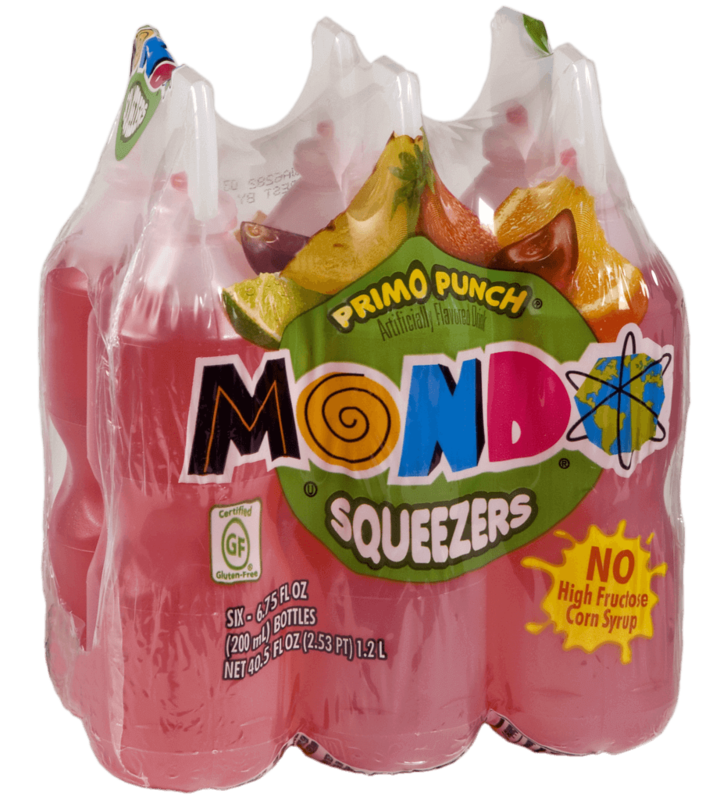 MONDO Squeezers come in six exciting flavors that deliver great taste with every “squeeze”. 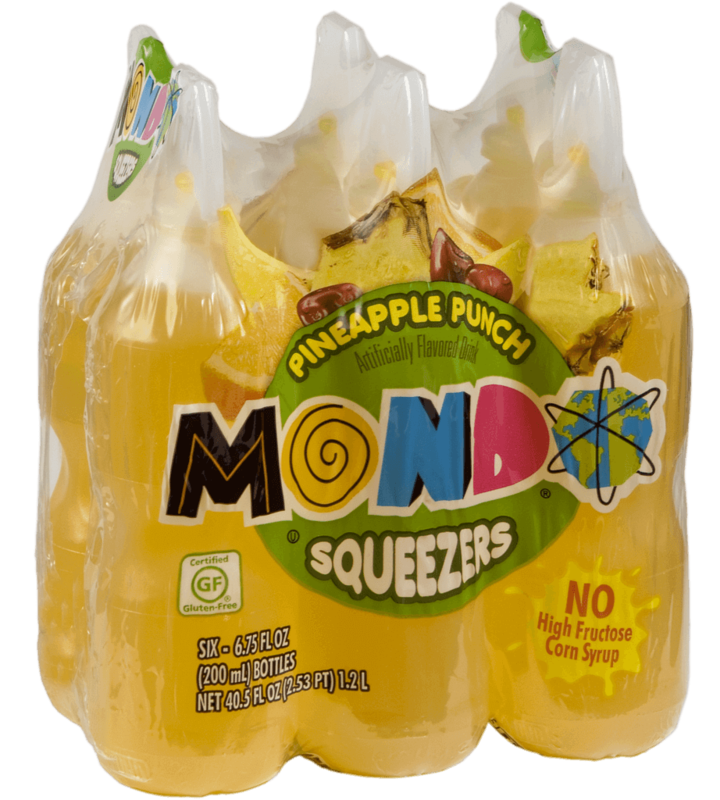 Kids love Mondo bottles in their lunchbox, after school or after a game. And moms, it has 50% less sugar than other drinks to make healthy choices part of the fun. 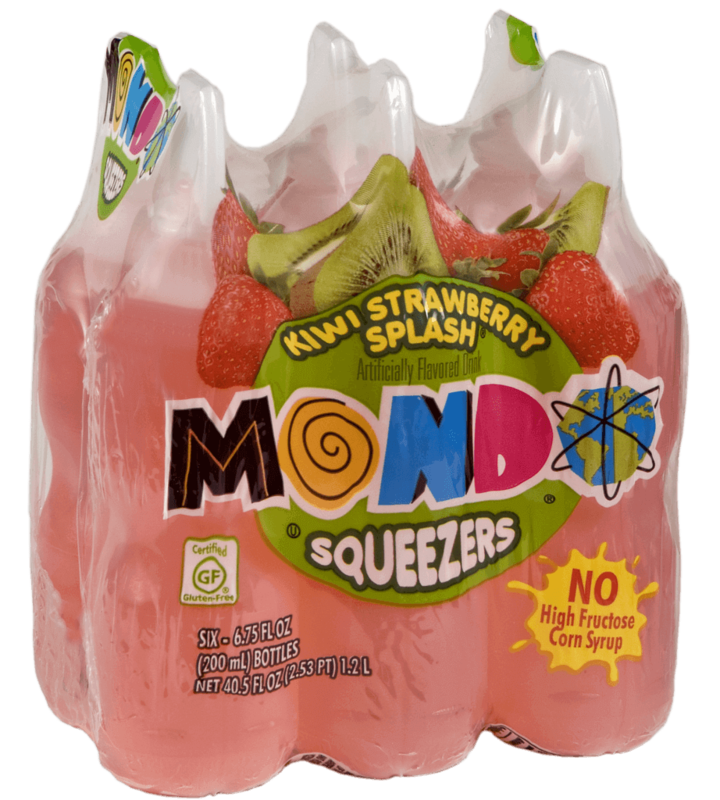 MONDO comes in 6.75 oz. 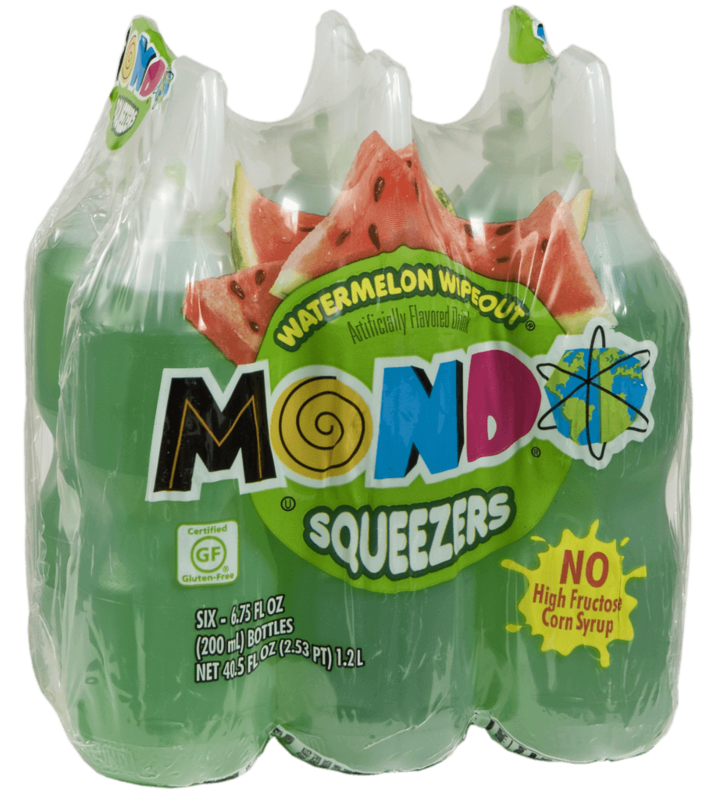 recyclable plastic bottles for fun on the go or at home.